Faygo and me — we go way back. And by “way back” I mean Michigan in the 1970s. Paul here, doing a guest spot. I grew up in central Michigan, a podunk little bedroom community named Haslett. Some things left indelible impressions on me, including Domino’s Pizza (it was actually really good in the years before it became a national chain) and Faygo Soda. Faygo came in 12 oz. glass bottles and sold for 30 cents (part of that was a 10 cent bottle return fee). In fact, I distinctly remember spending a WHOLE DOLLAR one summer afternoon in 1978 on two 35 cent comic books (Fantastic Four #197 and Avengers #174) and a Grape Faygo. Other flavors I grew up with include Old Fashioned Root Beer, Redpop (strawberry flavor), Rock & Rye (a black cherry creme), Orange, Cola and probably a couple others. Conspicuously absent from the class photo: Redpop and Black Raspberry. I loved Faygo but I took it for granted, as I discovered — upon moving to Nevada in 1979 — that Faygo had a limited distribution radius from its home in Detroit. So I was out of luck, unless I either A) visited the Midwest, or B) had friends bring me some whenever they traveled to the Midwest. Every few years I’d come across some Faygo that somehow made it to the Pacific Time Zone. Martinez, CA, Fresno, CA and Sparks, NV had Redpop, Fruit Punch and Orange in the mid-1990s. But most of their best flavors seemed to stay in the Midwest. On occasion I’d get a bottle or a six-pack smuggled to me, sometimes in plastic bottles (blech) or aluminum can (double-blech). A few years ago Darlene and I discovered Galco’s Grocery in the Eagle Rock neighborhood of Los Angeles. There — among the literally hundreds of soda varieties — stood a monolith of Faygo cases. And these were in glass bottles printed with their old-fashioned logo. 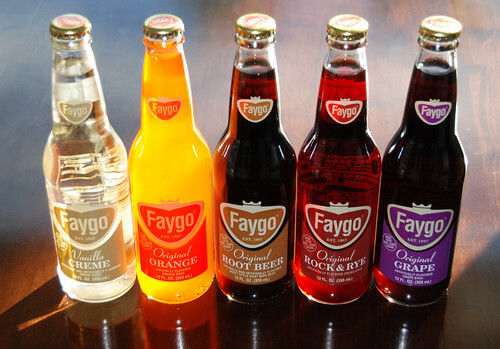 Vanilla Creme and Black Raspberry are two flavors that I’d never had in Michigan, so I ended up buying several cases of Faygo including these and other flavors (Orange, Redpop, Rock & Rye). Last weekend I made the discovery of Grape and Old Fashioned Root Beer Faygo here in San Diego. Faygo is my favorite root beer (it took second place in a taste test among all root beers; Sioux City Sasparilla took first), and I hadn’t had Grape in a glass bottle since 1987 (yes, I keep track of things like this). A six-pack was $10.99 and $9.99 respectively, not including tax or CRV. Yeah, OK — the photo on the left wasn’t really taken in 1978. So 30 years later and I’m still getting my Fantastic Four each and every month. 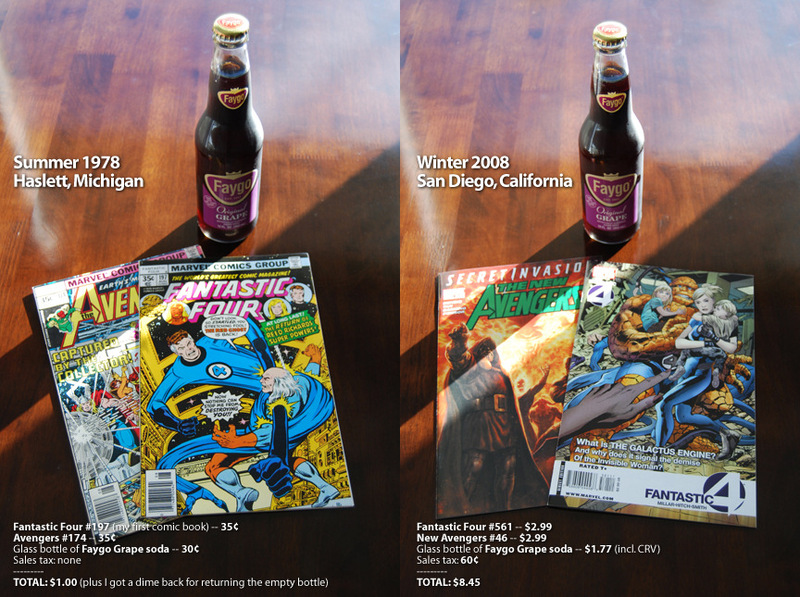 Nowadays, two comics and a Faygo runs $8.45. And while the comics aren’t as enjoyable as they used to be, today’s Faygo tastes every bit as good as I remember. I wanted to see a photo of you wearing your bright, red FAYGO t-shirt in this post. I was sadly let down. So where in San Diego did you find Faygo? darlene — That red shirt can only be worn on special occasions.caveman — Thanks! Do you have Faygo up in your neck of the woods?sandy — Iowa Meat Farms, Mission Gorge Road. Six-packs cannot be mixed and they only sold singles of Orange. BevMo stocks Grape, Redpop, Orange, Rock & Rye and Vanilla Creme for $1.50/bottle. Have not confirmed Root Beer there. I love that you have a place in SD called Iowa Meat Farms…it makes me feel much closer to you! Also, I just placed a nice order with Galco's. Looks like I'llbe nicely "hopped up" on sugar for Christmas! I called in Faygo to work this week. Wait. P.Ho, that was a fantastic post! Now I'm craving some type of flavored soda…usually a can of diet Pepsi would be just fine. Darlene, do you like Faygo soda? bavarian erin — Galco's is the only place I've seen & bought Moxie. FOR GOD'S SAKE DON'T ORDER MOXIE! It tastes like carbonated shoe polish. And not the expensive Kiwi shoe polish. I'm talking Montgomery Ward-brand shoe polish.caveman — Boylan's is pretty decent, too. I've had the root beer and grape. Probably another flavor or two, but certainly those. Wait. I think they also do a black cherry. That one rocks.justjenn — Get out of my brain! I was thinking the same thing!mrs. wong — Sadly, the regional contender (out West) for Faygo seems to be Shasta. I've never seen Shasta in anything but aluminum cans, though. D indeed loves the grape Faygo and the occasional random flavor, but isn't that impressed with the Faygo root beer. Hi! My husband is also from MI, from a little town called New Lothrop and he also has fond memories of Faygo. This past September when we visited his parents was the first time I tried it. I should try looking for some here in the San Jose area and surprise him. I'm a root beer fanatic. I've got to try me some Faygo! Guess I'm heading over to Iowa Meat Farms here soon! Yum! marie — Faygo has healing properties. Panacea? Maybe. Elixir? Absolutely.photogirl — Be prepared to kick down a ten-spot for the Faygo Root Beer (they won't let you break up a sixer). 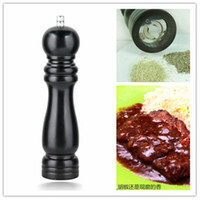 Pingback: Cool Jerk » Archive » What, this old thing?